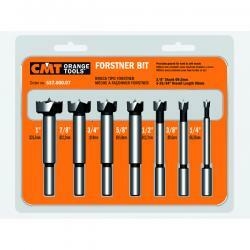 ALL CMT FORSTNER BITS ARE ON CLOSEOUT AND LIMITED TO LIMITED QUANTIES ON HAND. Perfect for drilling flat holes or drilling severe angles, Forstner Bit Sets are now available from CMT and Amana Timberline. These popular drill bits are offered in 4, 7 and 16 bit sets. These drill bits leave clean holes and are ideal for ideal for overlap boring. 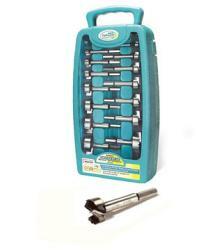 Get started and choose from the Forstner bit sets below.